Rome’s victory in the Third Samnite War pushed the boundaries of its influence deep into southern Italy. Additionally, as part of the pacification of the Samnites, Rome surrounded what was Samnite territory with colonies. The southern most of these was Venusia, in southern Apulia, which was near enough to Tarentum to cause concern for the Tarentines. Here we see the operation of defensive imperialism. When Rome defeated the Samnites, to complete the victory they were inevitably drawn into southern Italy. Once this occurred, the Romans were part of the political landscape of this part of the peninsula. Thus, Rome was compelled to deal with the native Italian tribes in Lucania and Bruttium, as well as the Greek city states. Southern Italian Greeks were much like their cousins in the fatherland. They were forever squabbling among themselves and embroiling their neighbors in their incessant feuds. Now that Rome was a local actor, disaffected factions among the Greeks could appeal to Rome for support. Rome was forced to respond one way or another as it became an obvious strategic goal of keeping the Greeks disunited and preventing them from forming alliances with Italian tribes. Thus, we see that the result of the Third Samnite war drew Rome into southern Italian disputes. As mentioned at the end of Part 1, Tarentum appealed to Pyrrhus, the king of Epirus, for military assistance. For the past few decades, this had been standard procedure for the Greeks of southern Italy when they clashed with Italian tribes. 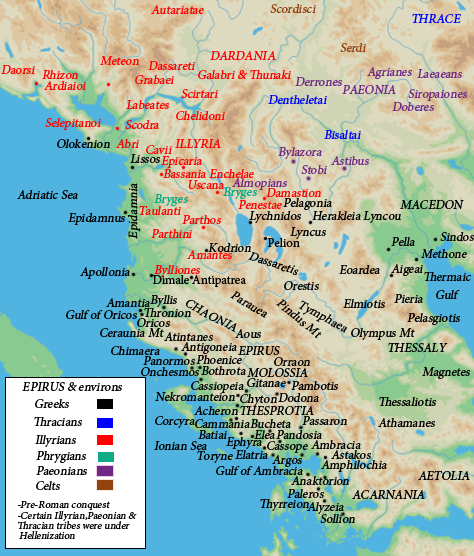 In 281, it was Pyrrhus’ turn to be the champion of Magna Graecia. The details of Pyrrhus’ intervention in Italy, Sicily, then Italy again can be found in Plutarch’s Life of Pyrrhus. A summary can be found at Livius. Briefly, Pyrrhus conveyed a classic Hellenistic army of hoplites, cavalry, and elephants to Italy. In the first clash with Rome, he defeated Publius Valerius Laevinus at Heraclea in 280. Pyrrhus then tried to sow disaffection among the allies of Rome by making a move towards Rome. However, most allies remained loyal to Rome, a tribute to the wise system of treating conquered peoples as confederates and partners. In 279, the Romans sent two consular armies, commanded by Publius Sulpicius Saverrio and Publius Decius Mus, against Pyrrhus. They clashed at Asculum. During the first day of battle, the two sides fought to a stalemate. Pyrrhus was able to get the upper hand on the second day and claim victory. However, he sustained such heavy losses that he reportedly exclaimed, “If we are victorious in one more battle with the Romans, we shall be utterly ruined.” Hence the term Pyrrhic victory. The important point is that the Romans retired in good order and the army maintained itself as an effective fighting force. An interlude occurred as the mercurial Epirot king became frustrated with his Italian adventure and decided to answer a call for aid from the Sicilian Greeks in their struggle against Carthage. Meanwhile, the Carthaginians sent a fleet with an embassy to Rome to discuss cooperation against Pyrrhus. Although nothing but vague promises resulted, the next time that Sicily became an object of discussion between Rome and Carthage, the result was the First Punic War. During Pyrrhus’ absence, Rome pressed armies into Lucania and Bruttium. The status of the Greeks at this time is unclear. At least Tarentum was unconquered as Pyrrhus returned there in 276 to renew his struggle with Rome. He was defeated by Manius Curius Dentatus at Malventum (subsequently renamed Beneventum). At this point, Pyrrhus had had enough. He left garrisons in some of the Greek cities and then abandoned Italy for Greece. 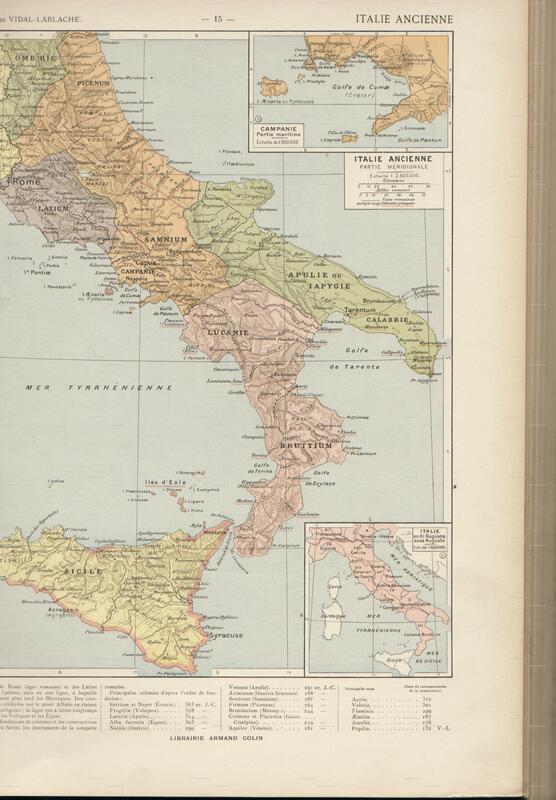 Southern Italy was Rome’s for the taking. By the mid 260s, southern Italian tribes and cities had been made into allies with Roman colonies planted as watchdogs. Except for suppressing various revolts, the Roman Republic had achieved the cherished goal of eliminating all potential threats from land south of the Arno River. However, this success sowed the seeds of future difficulties. First, the Romans were now part of the dangerous Hellenistic world. By defeating the man considered by contemporaries as the best general since Alexander the Great, they had announced to the Hellenistic world that they were a first rate military power. The day of reckoning was delayed until the First Macedonian War several decades later. Second, the Romans were now a sea power since they had acquired the important port of Brundisium and control of the fleets of the Greek cities. As such, they would have to develop a naval policy. This soon happened during the First Punic War. Last, Sicily became a concern. Again, we see the workings of defensive imperialism. This entry was posted in Ancient_History and tagged magna_graecia, pyrrhus, roman_republic. Bookmark the permalink.